With the recent news that Lawrence Kasdan and J.J. Abrams will be taking over screenwriting duties on Star Wars: Episode VII, it is believed that the pair will start the writing process over from page one. If that’s the case, then George Lucas’ original outline and Michael Arndt’s screenplay might be thrown out for something fresh. 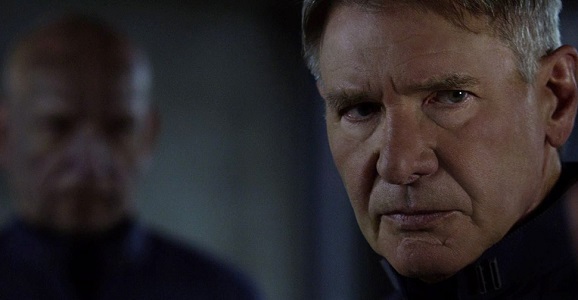 There are new reports that suggest Harrison Ford’s Han Solo might have an extended role in the sequel trilogy that goes beyond just a cameo appearance in Star Wars: Episode VII. According to Jedi News, Disney and Lucasfilm are looking to sign Harrison Ford for a multi-picture deal that extends past Episode VII into the other films in the sequel trilogy. 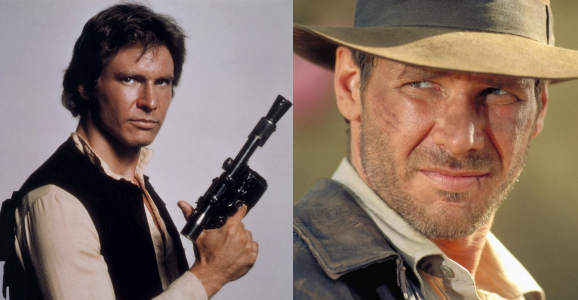 Apparently, Ford agreed to Han Solo’s new story arc through the new saga with a caveat that he would reprise another character in the Lucasfilm universe, Indiana Jones. While Indiana Jones and the Kingdom of the Crystal Skull was, for the most part, a phenomenally bad movie, it did include one important and lasting cinematic milestone. It introduced the phrase “nuke the fridge” into the vernacular. After years of over-usage, the old standby for noting the moment when a show or movie steps over the line into the preposterous – “jumping the shark” – was starting to sound a little creaky. It had earned a much-needed rest, and thankfully “nuking the fridge” stepped in ready, willing, and able. The phrase refers to the moment in Crystal Skull when Indy takes shelter from an impending nuclear test explosion by hiding inside a lead-lined refrigerator stashed inside one of the bomb range’s dummy houses. The fridge is then blasted through the air to a safe distance, allowing Indy to roll out bruised and battered but otherwise unhurt. While some people – those with even a basic knowledge of physics, small children, people raised by wolves – might dismiss the fridge scene as in every way ridiculous, George Lucas reassured the press earlier this year that the scenario was indeed feasible, and that Indy would have a “50-50” chance of surviving. Indiana Jones And Star Wars Join Forces For A Stunt Spectacular!